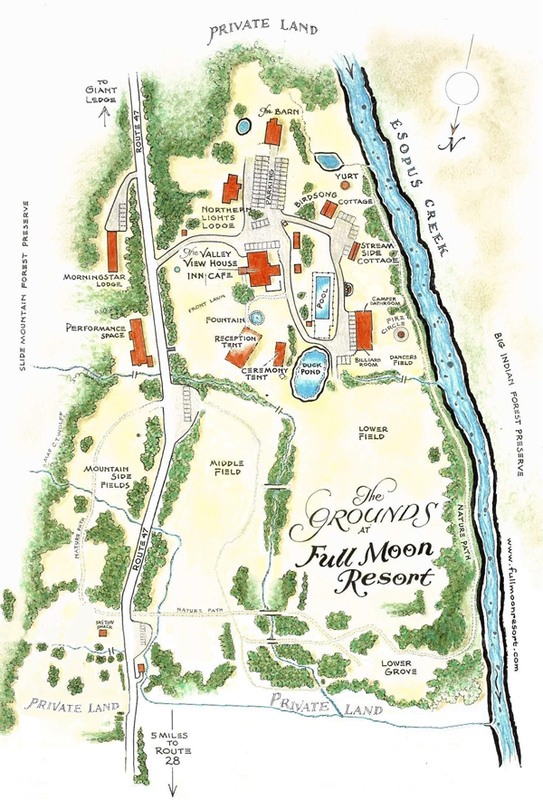 Our wedding will take place at Full Moon Resort in the the “Forever Wild” Catskill Forest Preserve in upstate New York. Dedicated to the celebration of nature, music and the arts, this one hundred-acre wonderland of mountains, fields, and streams is a world of its own. Full Moon is located in the mountains of the Hudson Valley, 30 minutes west of Woodstock, 2.5 hours from NYC. Click the map to explore the grounds.